Along each step of the supply chain, a tremendous amount of food is wasted. From farm to fork, an incredible 40% of food produced in the U.S. ends up in landfills. And while food losses occur during the stages of production and harvest, handling and storage, processing and packaging, as well as distribution and transit, the most staggering losses take place once the food is delivered to the customer. The equivalent of throwing away roughly 20 pounds of food per person per month, Americans tossed away 35 million tons of food in 2012. This costs the average family of four between $1,365 to $2,275 each year. And when perfectly good food is thrown away, it’s not just the food itself that goes to waste; all the resources that went into its production – water, energy, agricultural chemicals, packaging, land, and human labor – are frittered away too. When food’s ultimate destination is the landfill, the environment pays a heavy toll as well. Organic matter that is left to decompose at the dump releases huge amounts of methane, a potent greenhouse gas which traps heat 23 times more efficiently than carbon dioxide, and is a direct contributor to global climate change. We are so fortunate to live in a part of the world where food is abundant, convenient, and readily available. An unfortunate side effect of the ease at which we can obtain food is the perception that food is disposable. There’s little doubt that if food were less accessible and more expensive, we would think twice about chucking out perfectly edible food! In an effort to cut down on food waste, we’ve compiled some tips and tricks on how to extend the longevity of the foods you grow or purchase, the myriad of ways to make sure you eat up everything you prepare, and the best method to dispose of food scraps that won’t harm the planet. Not only do refrigerators significantly prolong the shelf life of food, they also protect us from consuming harmful bacteria like Salmonella and E. coli. A fridge kept at a temperature of 40?F or below stops these pathogenic microorganisms from growing – but other bacteria that cause spoilage will indeed multiply in chillier temperatures if given enough time. Although spoilage bacteria affects the appearance, odor, and taste of food, as revolting as it may be, eating spoiled food will not make you ill. Check the temperature – Place a thermostat in the fridge for a few hours (and leave the door shut) to get an accurate reading of the fridge’s internal temperature. It should maintain a climate of 40?F or below. Do the same procedure with the freezer, which should be kept at a temperature of 0? Keep it clean – Avoid cross-contamination by wiping up spills immediately and regularly cleaning all shelves and surfaces with a mixture of vinegar and water. Cleaning the condenser coils annually will keep the fridge running optimally and ensure the appliance is more energy-efficient. Keep foods sealed – Leftovers and opened packages should be stored in airtight containers or zippered bags. Allow for adequate air circulation – Cramming the fridge full of food will prevent cold air from freely circulating which will cause food to spoil faster. Organize it – Place dairy, eggs, and raw meat on the lower shelves where the fridge is coldest. Fruits and veggies go in the crisper. Shelves in the fridge door will be prone to fluctuating temperatures, so put condiments, juices, and water there. The top shelves should hold ready-to-eat or prepared foods like leftovers, deli meats, and cheese. Inspect and purge – Every week or two inspect the contents of your fridge and toss out any smelly, slimy, or otherwise questionable foods. As the saying goes, ‘one rotten apple spoils the bunch’ and keeping bad food in your fridge will contaminate other foods. Aside from infant formula and baby food, expiration dates are entirely voluntary and are not regulated by federal law in the United States. Despite this, many mistakenly believe these “best before”, “use by”, and “sell by” dates are related to food safety – when they are not. According to a report by the NRDC, 90% of Americans are prematurely tossing out good food because of the confusion that surrounds these dates. Provided by manufacturers, expiry dates are merely advisory and only involve food quality – i.e., the ideal timeframe for freshness, taste, and consistency. In most cases, food that is past its labelled date is still quite good to eat. Unfortunately, the incentive exists for food producers to continue adding these confusing labels to packaging – it encourages the consumer to throw away food, which ultimately means more food will be purchased. “Sell By” Dates are intended for the retailer and determine when the grocer should pull an item from the shelves. It has nothing to do with food safety and only denotes the time when food is at its peak freshness. “Best Before” Dates are labelled for the consumer, but are a recommendation and not an imperative. It is advice on when to consume the food for the best quality, though the item will still be edible after the date provided. “Use By” Dates share the same meaning as “best before” dates, an indication of food quality and not safety. Write down your favorite meals – Make a list of all the meals you enjoy cooking and eating. When you’re drawing a blank on what to make for the week, refer to this list. Plan meals around sales – As a source of inspiration (and to snag some savings), check the grocery store flyer before you shop. Shop your kitchen – Before you hit the market, check to see what you may already have on hand. Make a shopping list – A great way to overspend and over-shop is to go to the grocery store without a list! When you curate a shopping list based on your meal plan (and stick to the list), you’ll only buy what you actually need and reduce the odds of making random impulse buys. Avoid the dinner doldrums – Variety is the spice of life and you may tire of preparing the same 10 to 20 meals day in and day out. Adding a new recipe or two to your repertoire will shake things up considerably so browse the web or ask family members for their delicious recipes. Allow yourself cheat days – It’s not really cheating per se, but cooking up elaborate meals seven days a week is a good way to get burnt out fast. Make room on your meal plan for a day or two of easy and quick meals when you know you won’t feel like cooking. Preserve it – If it’s not humanly possible to eat the bulk buy within a day or two, you can prepare the surplus for longer-term storage by canning it, freezing it, pickling it, or dehydrating it. Make freezer-friendly meals – Perfect for those days when you don’t feel like cooking, prepare a slew of meals in advance that will keep well in a deep freeze. Here are some terrific freezer-friendly recipes. 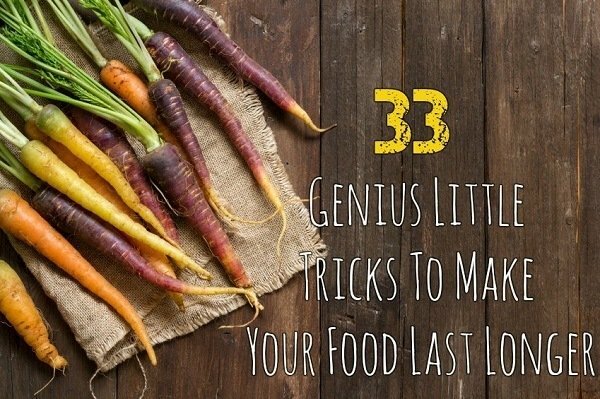 Just make sure you have enough space in your freezer to accommodate them. Divvy it up with friends and family – Coordinate the bulk sales with your social circle to help make the sheer volume of goods much more manageable. Forgotten and neglected, many-a leftover has shared the same fate of being pushed all the way to the back of the fridge only to be rediscovered after it’s too late. If this is a common occurrence in your household, try stowing your leftovers in clear containers in a conspicuous spot so you will see it each time you open the refrigerator. If the idea of eating the same meal two or three nights in a row isn’t tantalizing, try using the leftovers as a base for a different recipe. Here is a fantastic rundown of common leftovers foods – like pasta, pizza, rice, and chicken – that can be transformed and remade into something totally new. Otherwise, if leftovers are frequently left behind because of a preference for freshly prepared fare, one solution is to only cook what you will eat that day. This online calculator will take some of the guesswork out of determining portions and serving sizes, based on the size of the group. You may also wish to invest in a kitchen scale. Dubbed the ripening hormone, ethylene is a gas released by some fruits and vegetables that hastens the aging process of other, ethylene-sensitive produce. It’s a natural mechanism that makes fruit softer and sweeter but also leads to faster spoilage. The amount of ethylene emitted can be increased by such factors as cold temperatures, damage to the fruit or vegetable, or by rotting or decaying produce. High ethylene producers include: passion fruit, apple, apricot, avocado, cantaloupe, peach, pear, plum, papaya, nectarine, and kiwi. Fruits and vegetables that are sensitive to ethylene: apple, kiwi, pear, apricot, banana, mango, broccoli, brussels sprouts, cabbage, carrot, cauliflower, cucumber, lettuce, potato, spinach, and strawberry. Although keeping ethylene producers far and away from the ethylene prone is a no-cost method to extend the storage life of your fruits and vegetables, it is not very practical. Ethylene gas absorbers (like this one) can be popped in your fridge’s crisper and can help reduce ethylene levels – resulting in longer-lasting fruits and vegetables. Bananas – Wrap the stem of a bunch of bananas in plastic wrap to slow the ripening process. Head Lettuce – Cover lettuce with a cold, damp cloth and place in a salad container. Berries – Prevent mold by washing strawberries, blueberries, and raspberries in a bath of 1 cup of vinegar and 3 cups of water; rinse with water and dry completely in a salad spinner; store in a container with a loose lid so that moisture can escape. Tomatoes – Keep tomatoes at room temperature and place them stem-down on a flat surface. Flour – Prevent weevils from infesting your grains by stowing flour in the freezer for one week. Onions – Storing onions in pantyhose can maintain freshness for up to six months when hung in a cool, dry, dark space. Drop an onion into a leg of pantyhose and tie a knot. Keep adding onions and knots until each leg is full. Herbs – Treat fresh herbs such as cilantro, basil, green onions, and parsley like fresh cut flowers by trimming an inch off the ends and placing them, stem down, in jars filled with water; cover the tops with a plastic bag and tie off with a rubber band; set them in the fridge and replenish the water as needed. Honey – Although it will NEVER go bad, honey will crystallize over time. You can soften honey by putting the sealed jar in warm (not boiling) water and allowing it to sit for 5 to 10 minutes. Potatoes – Storing your potatoes with just one apple will help keep the taters firm and free of spouts for about eight weeks. Celery – Wrap your celery stalks in tin foil to extend freshness for a month or more. Milk – Adding a pinch of salt to a carton of milk won’t affect the taste and will make dairy products last a little longer. Wilted Leafy Greens – Restore soggy lettuce, arugula, and spinach to its former glory by cutting away browning leaves and soaking in ice water for 20 to 60 minutes. Cucumber – Store cucumber at room temperature, not in the refrigerator crisper. Asparagus – Like herbs, asparagus ends should be trimmed and then placed in a jar of water; cover loosely with a plastic bag and store in the fridge. Through better management, much of the food households throw away is entirely avoidable. Although studies on avoidable food waste is lacking in the United States, research in the European Union can give us a rough idea of how much food waste is preventable. According to a study published in Environmental Research Letters, nearly 80% of food wasted in the EU is edible, but not consumed. After paper products, food waste is the second largest contributor to landfills in the United States – more than plastics, metals, glass, and textiles. Organic waste – food scraps, yard trimmings, and paper – are among the easiest things to recycle, and yet only 34% of all trash generated is diverted away from the landfill. Landfills bury waste in a “dry tomb” which creates an arid and anaerobic (or airless) environment. In this state, the normal biological process is stunted and results in the creation of methane, nitrous oxide, and other harmful gases. To reduce the carbon footprint of organic waste, food scraps should always be recycled. The benefits of composting are plentiful, and when you allow organics to decompose as nature intended, very little carbon dioxide is generated. Because oxygen and moisture are essential to a healthy compost pile, the pollution caused by dry tomb landfilling doesn’t occur. And not only will composting drastically reduce the environmental impact of food waste, its by-product – humus – enriches the earth, keeps our soil fertile, and yes, can even be used grow more food.